Auction grosses over $1.5 million; extended auction ends February 8. Right of the Dot held a live domain name auction at NamesCon last night in conjunction with NameJet. Compared to previous auctions, it seemed like the live auction hall stayed pack much longer than in previous years. The sell-through rate was about 56%. Domain names that did not meet their reserves, as well as domains that were not selected for the auction, are available in the extended auction on NameJet. The extended auction ends on February 8. .Club auction is sizzling on Sedo. The .Club numeric domain name auction on Sedo is a rare sight: All 37 domain names have bids and will sell when the auction closes tomorrow. In fact, each domain name has at least two bidders, so it’s likely we’ll see lots of activity over the next 24 hours. 666.club leads the pack with 49 bids and a current price of $3,200. I’ve always found this to be an interesting number. It’s a lucky number in China, while elsewhere it is considered the mark of the devil. 333.club has 23 bids and a current price of $1,150. 111.club follows with 14 bids and $1,111, while 555.club has 17 bidders and a $1,050 high bid. How high will the bids go? We’ll find out tomorrow. These are some of the Chinese domain name investors buying your domains. The domain name market in China is hot and is driving major price appreciation, especially in short domain names. 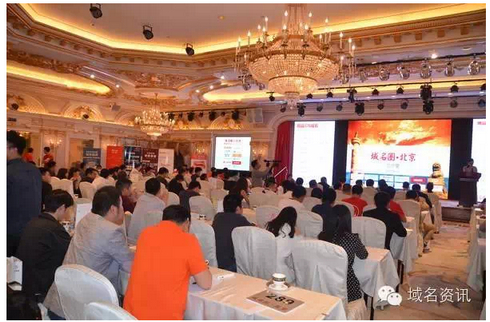 What’s the Chinese domain name community like? A lot like that in other parts of the world. It has its own “big personalities” and players. It also has its own gatherings and domain name auctions.